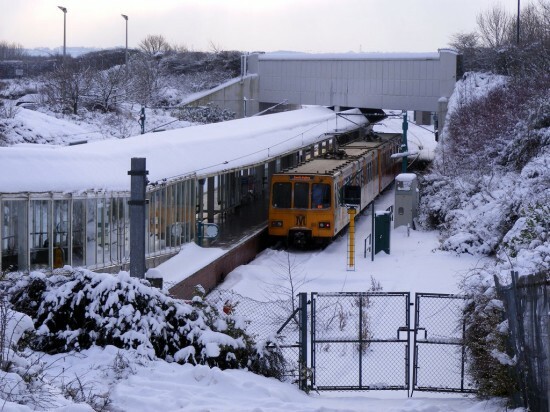 The date is 9th January 2010 and Newcastle and the surrounding area had been hit by a heavy snowfall but that didn’t stop the Tyne and Wear Metro from carrying on as seen in this image taken at the Airport terminus. A double unit is seen in the platform surrounded by the white stuff with 4038 the train closest to the camera. The pair will soon depart with a service for South Hylton. This entry was posted in Picture in Time, Tyne and Wear Metro. Bookmark the permalink.